Currently listed on A Growing List of Active Women Choreographers in Dance Magazine, Mitzi Adams has been choreographing for over three decades. She received her B. F. A. in dance from Temple University and her M. F. A. in dance at the University of Arizona. She has toured with several modern dance companies, including The Douglas Nielsen Dance Company, Tenth Street DanceWorks, Orts Dance Theater, a European tour with the Dalton/Hartel Dance Company, where she worked with the now famed cultural icon, Jin Xing, and in Connecticut with Bernier Dance and Mary Barnett/In Good Company. She has worked with many independent choreographers, including Mark Dendy, Albert Reid, Sam Watson, and Madeleine Scott. Her company, Adams Company Dance, has presented her choreography in California, Michigan, Arizona, Philadelphia, Connecticut and, in New York City, at The Ailey CitiGroup Theater; Martin Luther King Jr. High School; DanceSpace; Dance New Amsterdam; Theatre of the Riverside Church; Merce Cunningham Studio; Context Studio; Manhattan Movement and Arts Center; Trinity School; Queensborough College; PMT House of Dance; New Dance Group Arts Center, where she was a guest choreographer with the New Dance Group Dance Company; in Brooklyn, at The Triangle Theatre; The Gelsey Kirkland Theater; West Park Presbyterian Church; Triskelion Arts; The Secret Theater in Queens; and the Producers Club. She won the Juror’s Choice Award for her choreography, adjudicated by Gus Solomons, in the NewDance New Haven ’93 competition. In 2002, her piece, Unthinkable Equation, was selected for the Kansas Dance Festival, during a residency at Wichita State University in Wichita, Kansas. In 2003, she was an invited Guest Artist at the University of Arizona. In 2005 and 2006, Ms. Adams was invited to be the Guest Artist-in-Residence at Alma College in Michigan, as well as at Eastern Michigan University. She also was a guest teacher at the University of Michigan. In 2006, ACD was selected as a finalist for the Dance Under the Stars Festival at the McCallum Theater in Palm Desert, California; during which time, Ms. Adams was serving a one-year-term appointment as Assistant Professor at Western Michigan University’s Dance Department between 2006-2007. In 2008, she served as a Guest Artist at Western Kentucky University’s Dance Department; and as a Guest Artist at the Calucci Dance Studio in Columbus, OH, for their summer dance intensive. She also was an invited guest teacher at Connecticut College in New London, CT in 2008; and later that year, her company was selected to perform in the West Coast Swing/Hustle/Salsa Fest in Stamford, CT. In 2009, ACD premiered a documentary, entitled, Except At Night: The Making Of A Dance, during their evening-length concert at The Ailey CitiGroup Theater in New York City. In 2010, this film was a winner in the Mystic Independent Theater Film Festival in Mystic, CT. In 2011, the company began making dance film shorts, including: Let’s Face It, shot at the Baryshnikov Arts Center, and A Piece of Shelter, shot at The Secret Theater in Queens, NY — with filmmakers Benjamin Moss and Amelia Golden. In the summer of 2011, Ms. Adams completed three new works, including a 30-minute multi-media piece entitled, Pie, Picket Fences, and Purgatory, with film by Benjamin Moss. Also in 2011, Ms. Adams was a guest artist at Sarah Lawrence College teaching the art of self-help Jin Shin Jyutsu for dancers. In 2015, her short-film, “A Dress in the Stream,” was selected for the Triskelion Arts Theater Lab Festival in Brooklyn, NYC. From 2011- 2016, the company continued producing their film work culminating in Behind the Lens — a film screening of their award-winning documentary, plus a compendium of their film shorts; which screened in 2014 at the Producers Club in NYC, with an additional production in 2015 — Behind the Lens- 2. A revival of this film was screened at the Bryant Park Hotel in October, 2016, as part of the events celebrating ACD’s 25th anniversary. In 2017, the company performed in the CBG Fall Dance Festival in NYC, and in the Temple University Alumni Dance Concert in Philadelphia, where Ms. Adams was invited for the second time as guest teacher and choreographer. ACD continues to create concert dance, works for her on-line Vimeo channel, and launch missions for the homeless in alliance with the Peace Community Chapel — a multi-denominational church based in Fairfield County, CT, run by her husband, Don Adams. 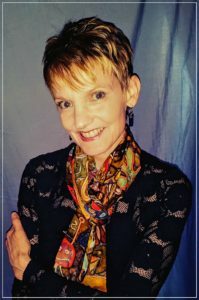 Alongside her extensive career as a dance teacher, and choreographer, Mitzi is also a board certified massage therapist and Jin Shin Jyutsu practitioner, with established practices in both New York and Connecticut.